Women's fiction author Karen Lenfestey writes "Happy Endings with a Twist." 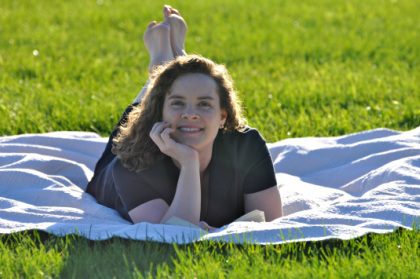 She won a Midwest Writer's Fellowship for her first novel, A Sister's Promise. Its sequel, What Happiness Looks Like, was listed as a "strong pick" and its follow-up, On the Verge, is "highly recommended" by the Midwest Book Review. Her second trilogy is the Secrets Series which includes A Weekend Getaway, Next Door Secrets and A Mother's Conviction. She is currently working on a new series which begins with 5 O'Clock Shadow and Unexpected. All of these are available on Amazon as ebooks or paperbacks. Look for Karen's novellas, Made for Two and Friday a la Mode on Amazon for 99 cents. Karen's work has also been published in magazines and on a billboard in Times Square. She loves to hear from readers on FaceBook, GoodReads or click here: Contact Karen. Be sure to check out her semi-humorous "Treats for Mom" blog.